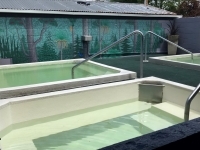 Rotorua Thermal Holiday is perfectly located for all Rotorua has to offer. It’s the closest holiday park to visit Te Puia and to hit the cycle trails. Rotorua Thermal Holiday Park has a range of accommodation catering for those camping, cycling through, families, groups & backpackers. View our accommodation page for rooms, rates and availability.